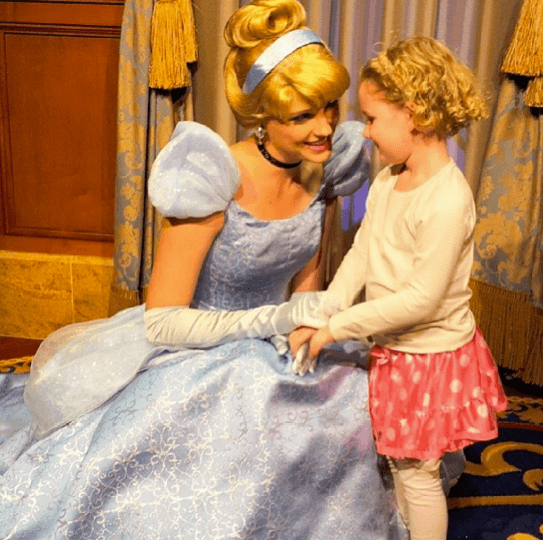 Disney is magical every day of the year, but during the holidays, it is especially special. 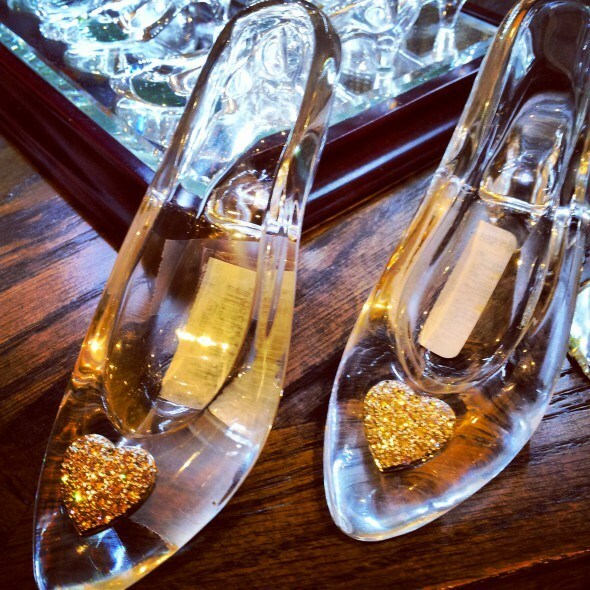 So grab your glass slipper, and let’s take a tour. 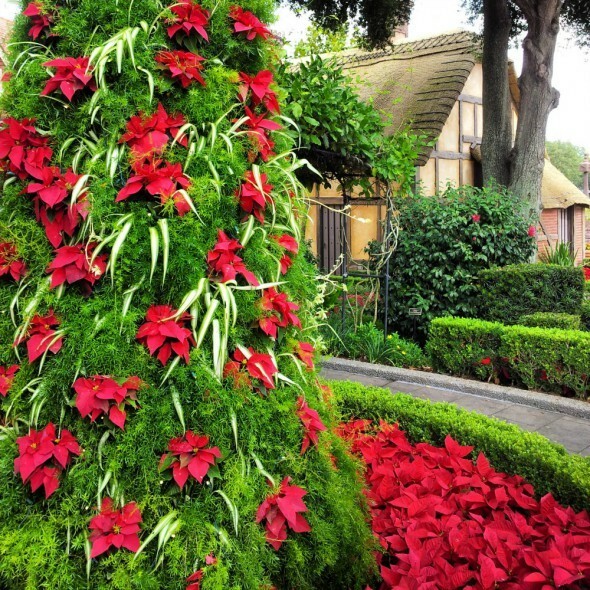 Red is a classic Christmas color, and it shines in Epcot’s England in the World Showcase. 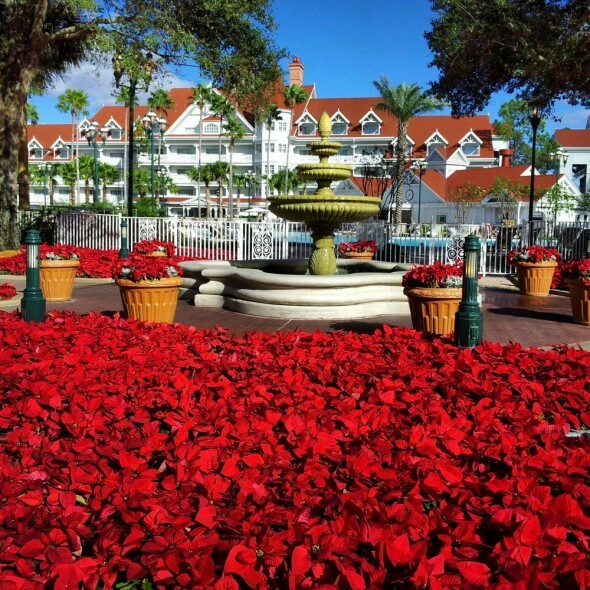 Poinsettias as far as you can see at Disney’s Grand Floridian Hotel. 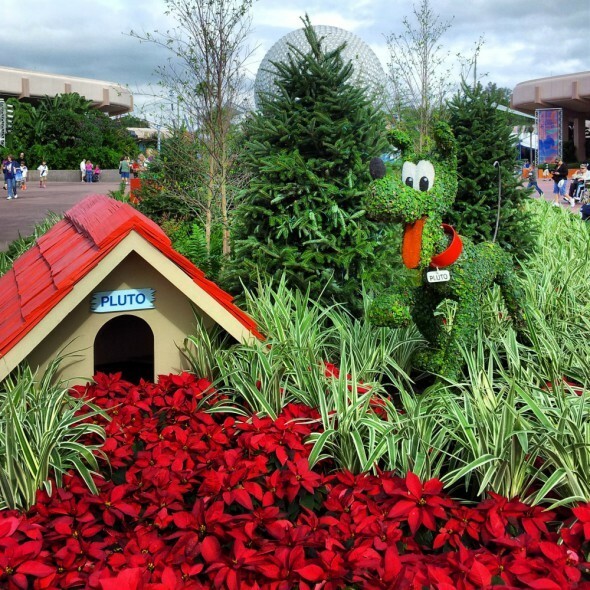 Pluto is decked out for the holidays, too. When dusk arrives, the parks come alive with Christmas cheer. Disney’s France in Epcot exudes charm and romance. 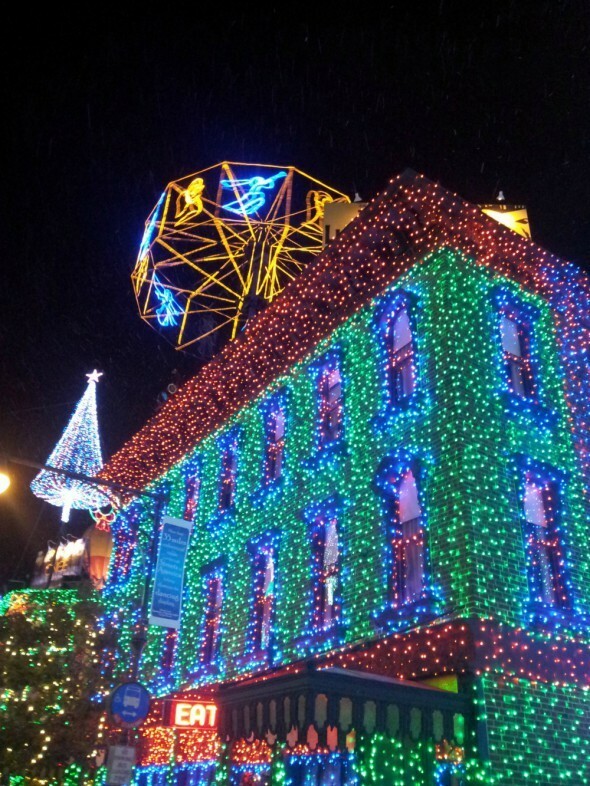 Nothing says Christmas like the Osborne Family Spectacle of Dancing Lights at Disney’s Hollywood Studios. And the beauty of Cinderella’s castle proves that dreams do come true. Dreams certainly came true for my Princess this year. Merry Christmas and Happy New Year from all of us at Skimbaco. 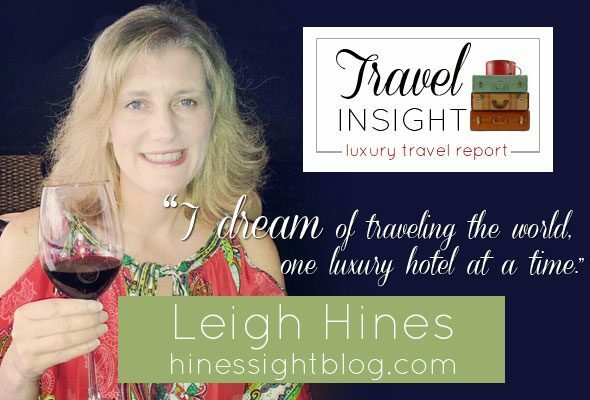 We look forward to many travel adventures with you in 2014.